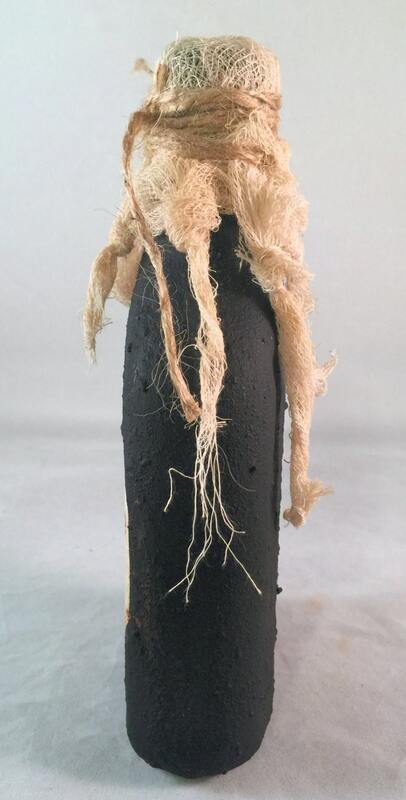 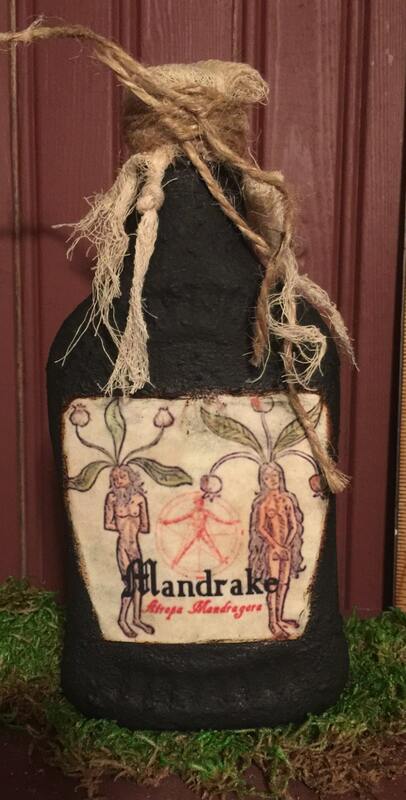 Handcrafted mandrake potions bottle is perfect for your primitive decor. 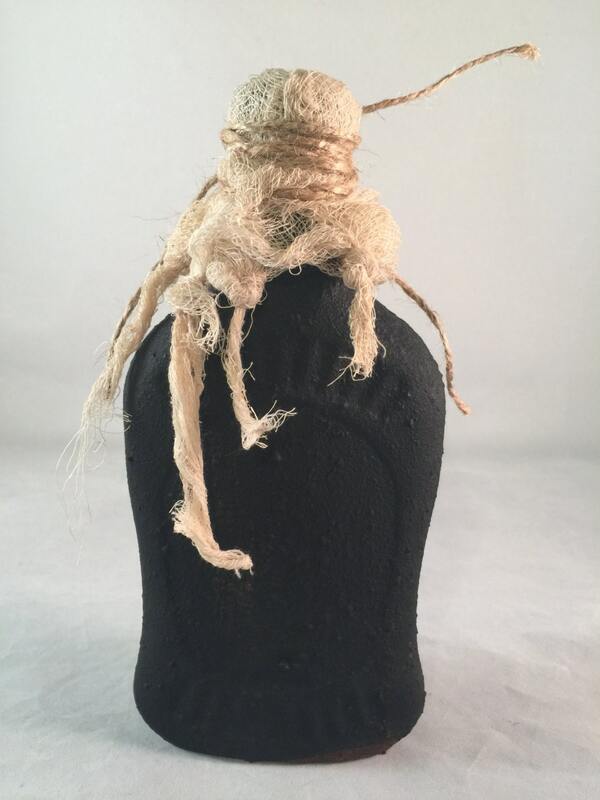 I designed the label using an antique illustration of the mandragora on this bottle accented with twine and cheesecloth. 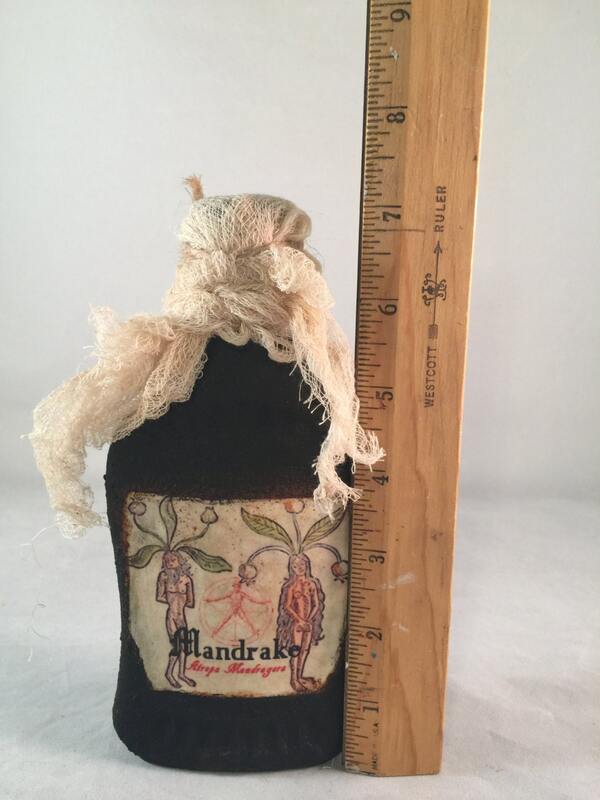 The glass bottle stands at 7 inches tall.